Working with Legs Media and Mother (London), Puppet Heap initially created three puppet friends who work at a fashion magazine – Eleanor, Bernadette, and Irene – to promote Diet Coke. These fully articulated marionette characters with expressive animatronic eyes and mouths were featured in several Diet Coke campaigns in markets across Europe as well as Australia, Canada, and New Zealand. The ad was part of a project that also includes a digital fashion platform and collaboration with the designer Karl Lagerfeld. First used as bumpers for the UK television broadcast of Ugly Betty, additional male and female marionettes were created for a subsequent campaign called Love It Light, and finally in a series of ads with Creative Director Jean Paul Gaultier called The Serial Designer. The three female marionettes, plus several supporting characters, were performed by and with production assistance from Puppet Heap. Filmed in Paris, The Serial Designer commercials featured the three marionettes with Jean Paul Gaultier. Love It Light commercial filmed in Prague. Michael Bush on set adjusting the stringing on Eleanor. Artist Mari Tobita cleaning up and refining the resin cast pieces. Jean Paul Gaultier with Bernadette on set in Paris. 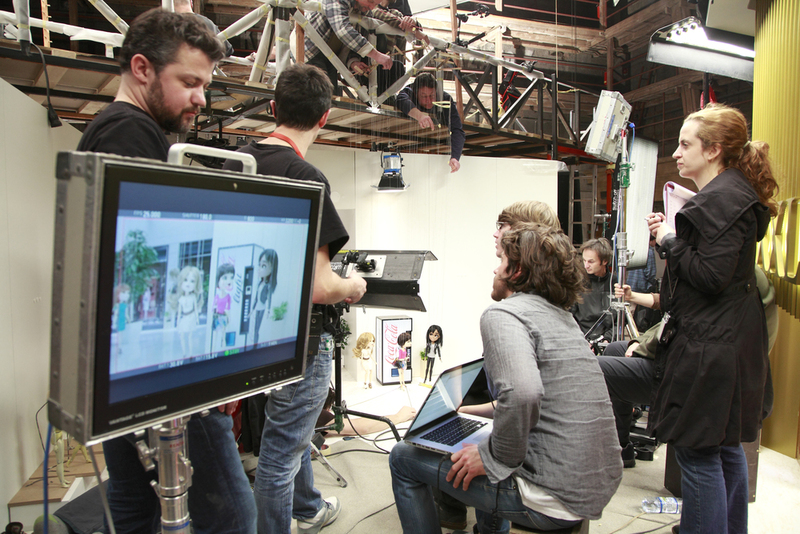 Puppeteer Tim Lagasse on set in Brooklyn for Diet Coke's There's Only One Left campaign. Puppeteer James Godwin on set in Brooklyn with male marionette. Artist Colette Nikola preparing Bernadette's extreme suntan look. Artist Nathan Wilson (left) in Prague during Love It Light shoot.